Former PM taken to the hospital a week before announcement by parole board on his request for early release. The former prime minister, who is serving a 27-month sentence, told prisoners who were with him that he felt ill and requested medical assistance. 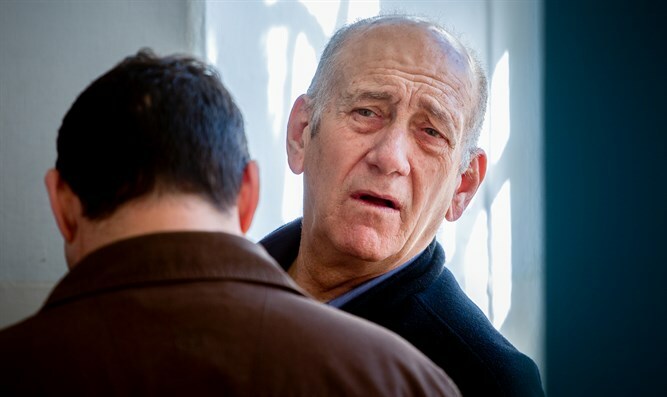 The parole board, which discussed Olmert's request to shorten his sentence two days ago, announced that it would publish its decision next Thursday, June 29. During the hearing on the parole board, Olmert accused the committee members of "turning me into a traitor," against the background of the prosecution's opposition to his release, because of the classified documents that were allegedly found in his cell. Former Prime Minister Ehud Barak called on Sunday for Olmert's release and wrote on his Twitter account: "Olmert will be released...Despite his actions and his punishment, Olmert deserves the respect reserved for every citizen. Equality before the law. Let him navigate the rest of his life. It will not be easy.